_ More than six of every 10 Boomers will be managing more than one chronic condition. _ More than one out of every three Boomers – over 21 million – will be considered obese. _ One of every four Boomers – 14 million – will be living with diabetes. 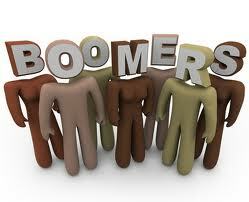 _ Nearly one out of every two Boomers – more than 26 million – will be living with arthritis. It is now common knowledge that the over 65 population will nearly double as a result of the aging Boomers and we want to be the 21st Century “Blue Zone” generation, as described by Dan Buettner is his New York Times Bestseller, The Blue Zones: Lessons for Living Longer From the People Who’ve Lived the Longest . What is a Boomer to do? The fact of the matter is that it is not complicated; however that in no way implies that it is easy to break our old habits of excess and convenience. It all boils down to prevention. The power to choose sensible precautions that will lessen the impact of aging is as simple as cutting our consumption of that which is refined and processed. Above all get the water in and get the white out!